Ordination is one month away. Wow! At my seminary the whole month before an ordination, we all pray a special prayer together. It’s called the “Litany of Our Lord Jesus Christ, Priest and Victim”. Pope John Paul II used to pray it at his seminary too. Praying this prayer over the years has been a good reality check for me. It’s helped me see that becoming a priest isn’t some kind of promotion, rather it’s signing your life over to the service of God and his people, 24/7. It’s a giving up of your life, a becoming Jesus for those you meet each day. That’s a tall order, certainly, but I trust that God is the One who called me and he knows what he’s doing. He gives the grace that makes you a priest. 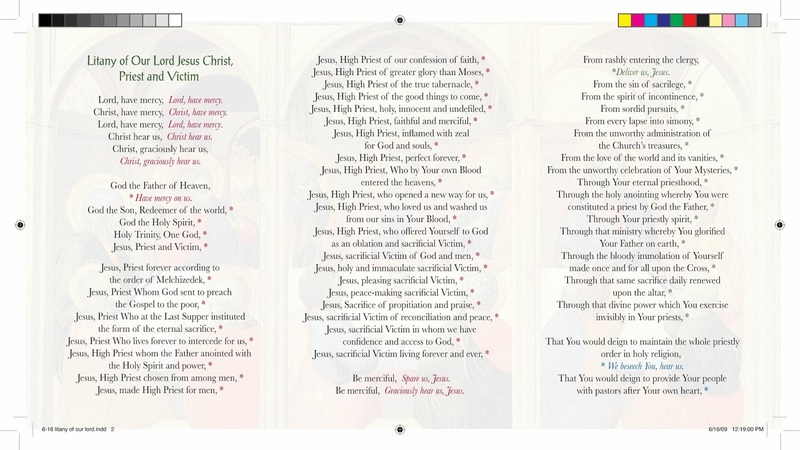 The prayer is below, and also attached in leaflet format for printing. 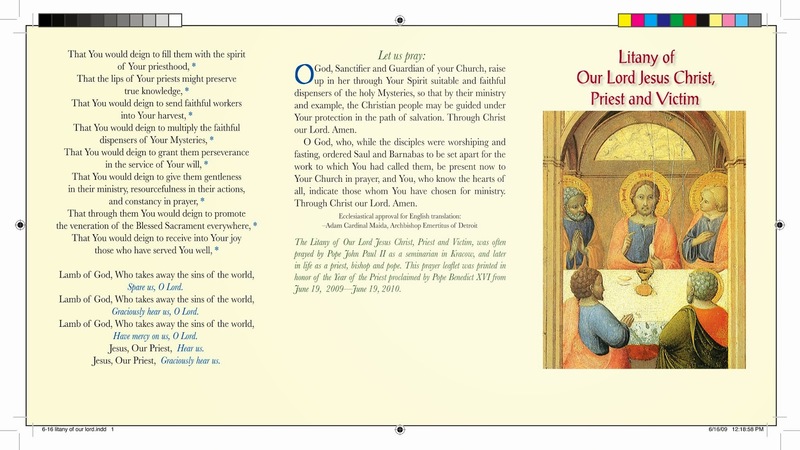 I invite you to pray along with me for the 31 of us who will be ordained December 14th! God our Father in heaven Have mercy on us. Lord Jesus, both priest and victim Have mercy on us. Lord Jesus, victim of God and man Have mercy on us. From rashly going on to ordination Keep us, Lord. Through your eternal priesthood Purify us, Lord. Keep all priests holy and faithful Lord, hear our prayer. Father, you guard your Church and make her holy. on the path to salvation. and Saul apart for the work to which you had called them.